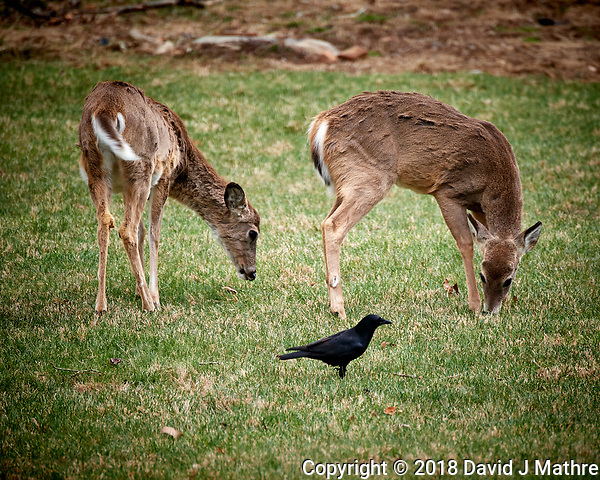 Scruffy deer and black crows working the back lawn. The deer are trimming the grass, waiting for more delectable treats out of my garden. The crows appear to be going after small insects (maybe the stink bugs!!! ).